All beautifully arranged in a lovely red pot, the colours and textures of these plants make it perfect for any home or work setting. We have selected kalanchoe, peace lily, and ivy to bring it all together. We have even added a fun Christmas pick! 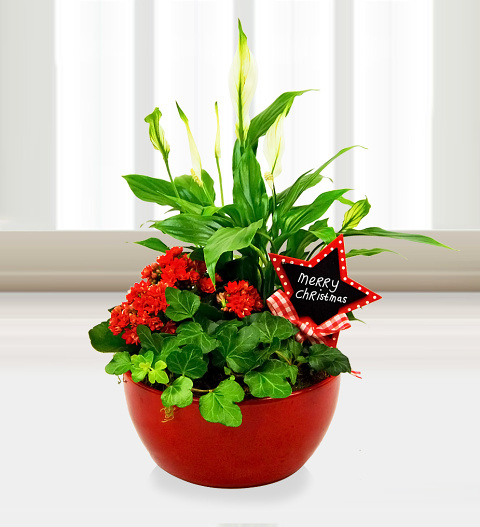 These plants are all really easy to care for and you can be sure that the recipient will get endless joy during and after the holidays! Chocolates may contain nuts.